28.08.2013 Milano. 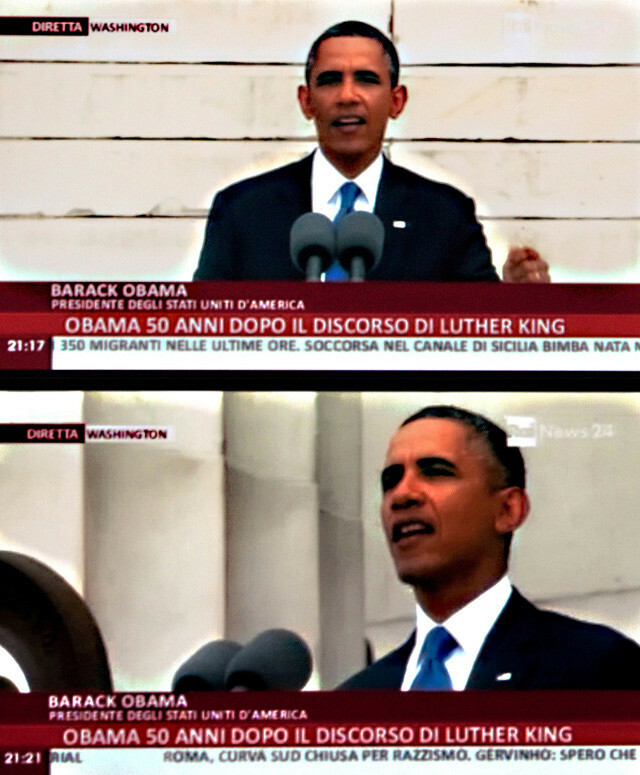 In televisione: il Presidente degli Stati Uniti Barack Obama al Lincoln Memorial in occasione del 50° anniversario del discorso "I have a dream" di Martin Luther King che concluse la Marcia su Washington per i diritti civili nel 1963. 28.08.2013 Milan. On TV: US President Barack Obama at Lincoln Memorial celebrating the 50th anniversary of "I have a dream speech" delivered by Martin Luther King during the March of Washington on 28th August 1963.